Most people mistakenly believe that the Acura Invoice Price reflects what the dealer paid for a new vehicle - The true Dealer Cost. It is not! It can be easy to get lost or confused when understanding new car pricing terms. The following definitions touch on the most important. The MSRP is a price set by the manufacturer, not the dealer. It serves as a basic price guide for dealers and buyers. The dealer invoice is what the car dealership has to pay the manufacturer to purchase the car. This does not always mean the exact cost of the car for the dealer. Car dealers often have to take out loans to buy the cars in their lots. Dealer Holdbackis money sent by the manufacturer to cover the interest on these loans, to ease the burden of purchase on the dealer. Manufacturers often offer dealers money back deals on the cars they buy, in order to ensure loyalty and save the dealers money. These Rebates are often, but not always, passed on to the buyer. Manufacturers ship a lot of cars to a lot of dealers, and they charge a Destination Fee for each car they transport. This fee is almost always added to the price of your car. The dealer will often provide cash back Rebates to their buyers to get them to buy a car, many of which are simply the manufacturer incentives. However, dealers often create their own, unique incentives. 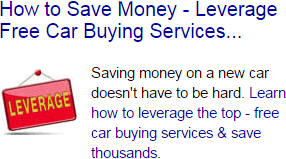 Dealers advertise to get their name out to the people, and they will often add a regional ad fee to the price of your car. This is especially true if your model was heavily advertised. Base Acura Invoice Price + the dealer Invoice price of Options + Destination - Holdback = Total Dealer Cost.